Relax, Renew, Rejuvenate! 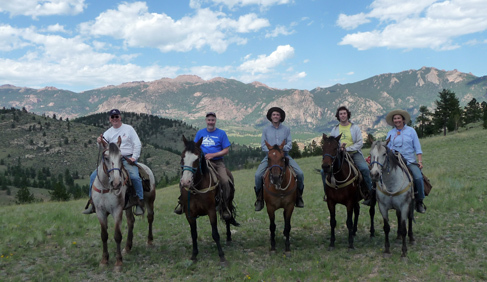 Tarryall River Ranch is a true Colorado dude ranch and bed and breakfast. 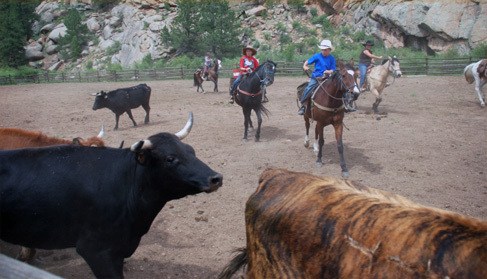 This Colorado guest ranch is the perfect destination for families, singles, couples, groups, and anyone who wants to relax and truly enjoy themselves in the splendor of the magnificent Rocky Mountains and live like a cowboy. 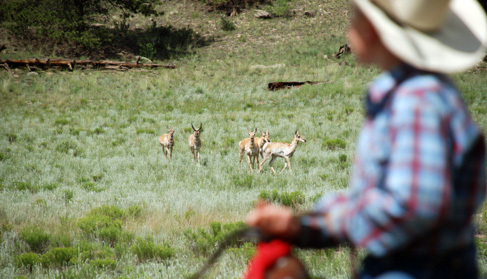 Weeks in the summer are packed with adventure for parents and kids alike in a safe environment and breath-taking scenery stretches for miles at this Colorado dude ranch. 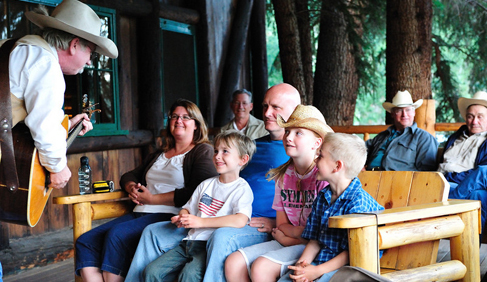 Activities include a large variety of horseback riding, whitewater rafting, fly-fishing, hiking, overnight pack trip, line dancing, hayride, cowboy singer, breakfast ride and more! 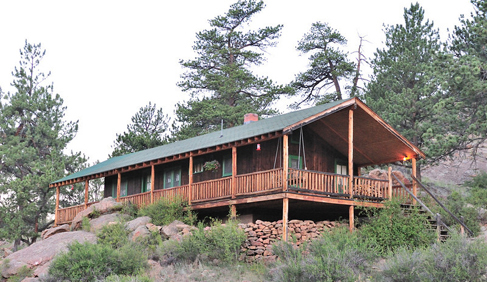 Fall, winter and spring make up Tarryall River Guest Ranch's bed and breakfast season. 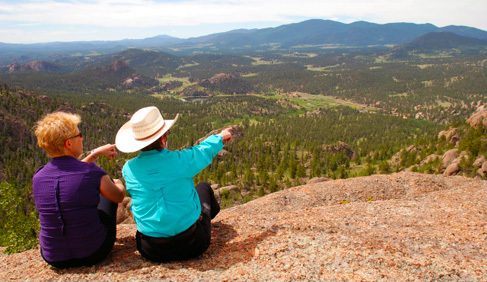 During this time the ranch continues to offer horseback riding, hiking and fly-fishing on their private stretch of the Tarryall River. 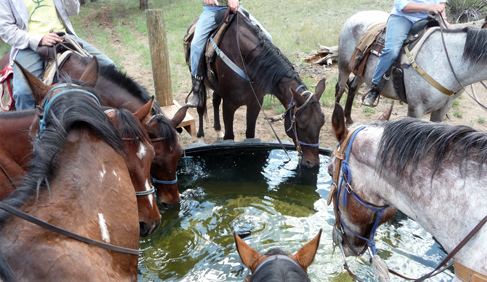 As a family owned and operated ranch, Tarryall River Ranch is able to offer unmatched personalized service. 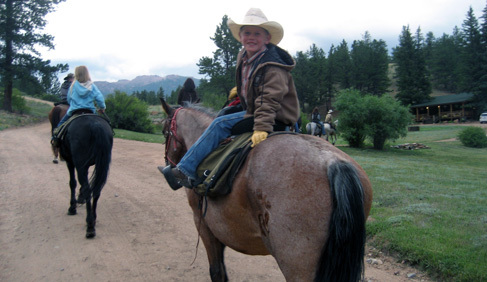 Your hosts, Colton and Paula have a passion for horses and ranching. 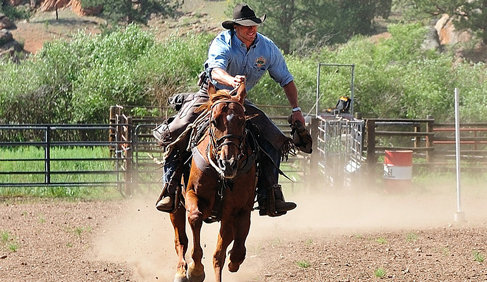 Colton is a third generation cowboy who grew up on his family cattle ranch. 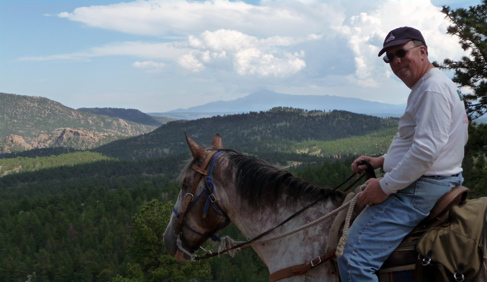 Paula was born and raised in Albuquerque, New Mexico and has ridden horses (both English and western) since she was twelve. 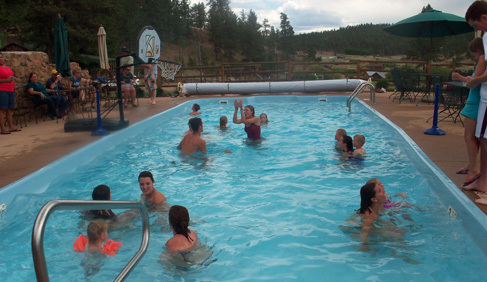 She and Colton actually met at a dude ranch in southern Colorado. 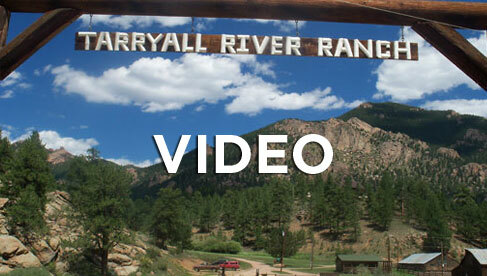 Check out the Tarryall River Ranch website to watch videos and read traveler reviews. 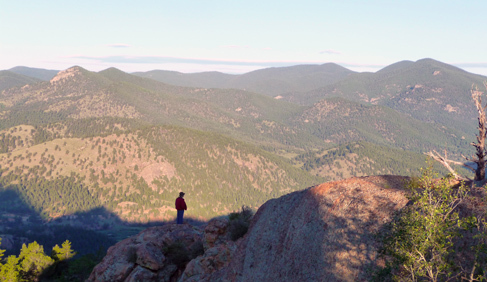 Then, escape to the mountains of Tarryall and see why this is one vacation you will leave with cherished memories-of-a-lifetime. 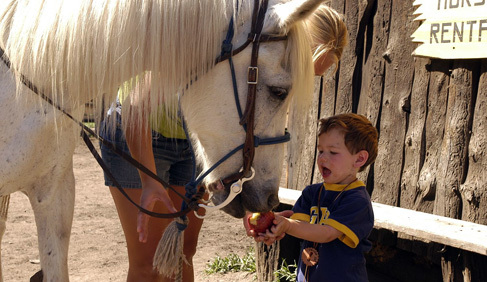 Children’s programs, trap shooting, team penning, whitewater rafting, fly-fishing, evening activities, all-day rides, half-day rides, cookouts, pool, hot tub, ranch rodeo, breakfast ride, winter ranch vacations, bring your own horse (BYOH), hayrides and barn dancing. Cabins and suites. 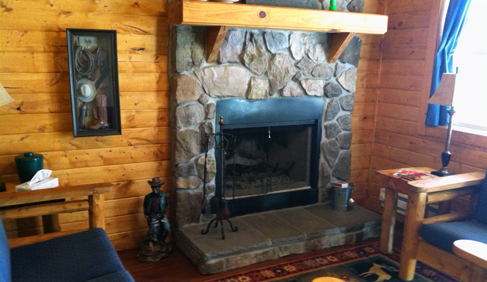 Most are two bedrooms and a bathroom with a sitting room, fireplace and porch. 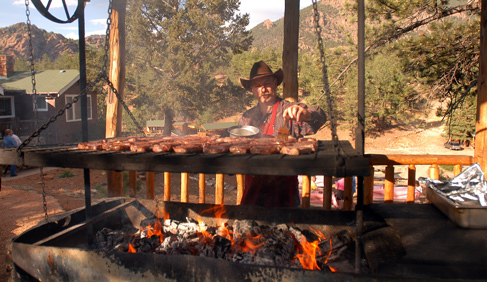 This Colorado family guest ranch offers food that is all homemade from scratch! 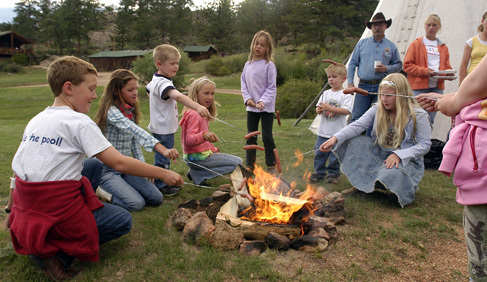 The ranch serves three meals a day family style that will keep you anticpating the next time the dinner bell will ring! 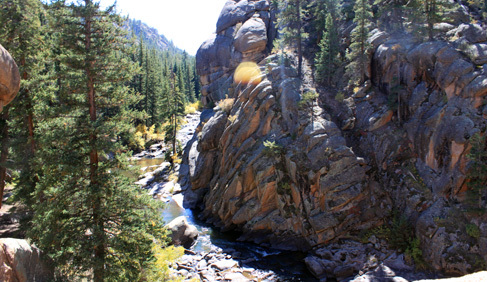 Many fantastic attactions are located within an hour of the ranch! 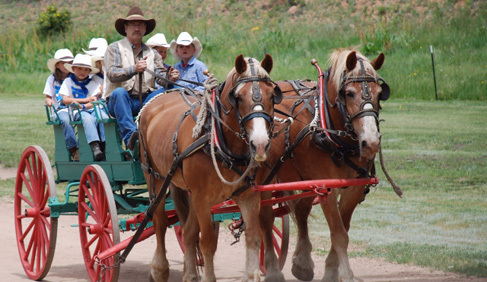 Cripple Creek, narrow gauge railroad, gold mine tour, wolf and wildlife tour, Garden of the God’s, Pike’s Peak, Seven Falls, Cave of the Winds, Manitou Cliff Dwellings, Air Force Academy and more! 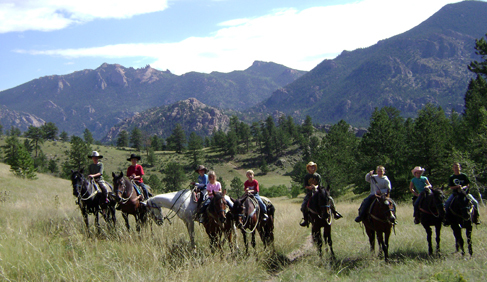 Summer 2015 rates start at $1,945 USD per adult with lower prices for kids and include lodging for 6 nights at the Colorado guest ranch, horseback riding, meals, children‘s programs, fishing, swimming, hot tub, trap shooting and all other on-ranch activities. 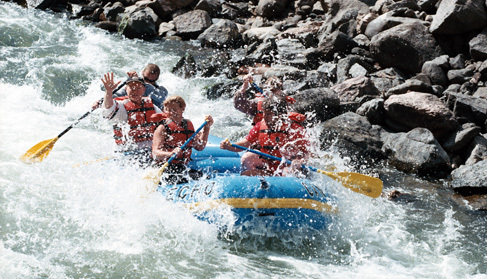 Rafting is included this year! Adult Rate for September 2015: $1,800 per week. August 31- September 27 are reserved for adult-only weeks.